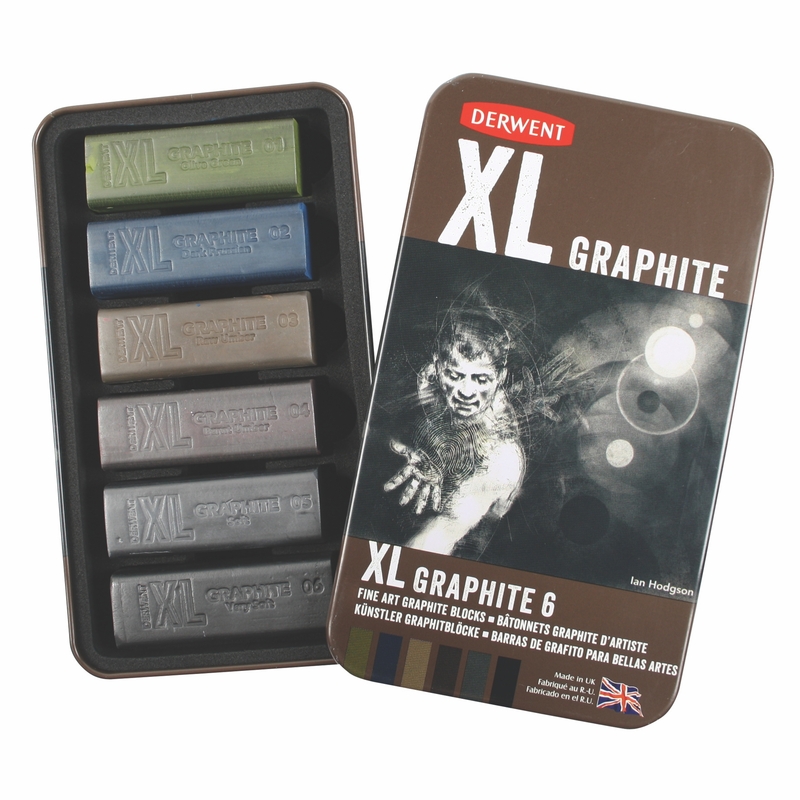 Everything about Derwent XL Graphite is big; big blocks and even bigger possibilities. You can create a wide variety of texture s and effects with these generous graphite blocks; subtle blending, fine lines and deep tonal work are all possible. have developed 6 dense shades from Olive Green to Burnt and Raw Umber which work really well for bold landscape drawings.